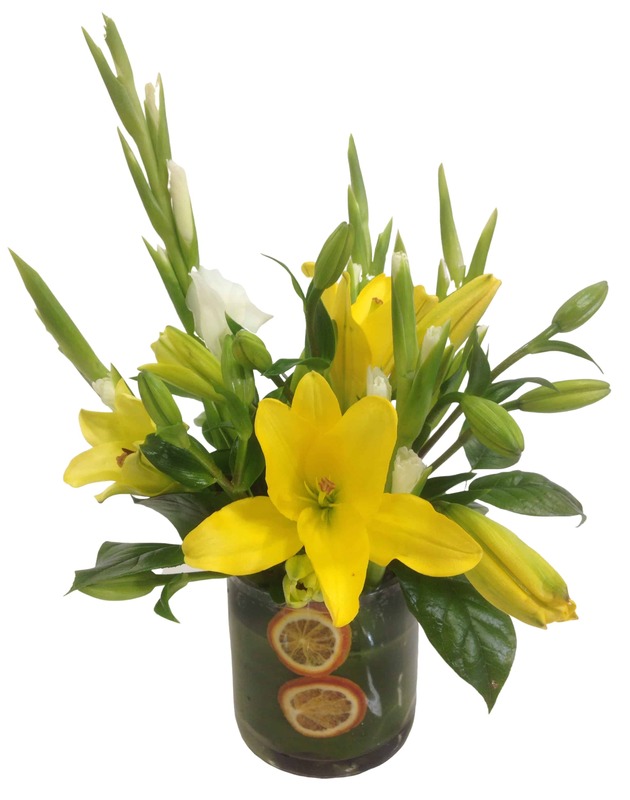 Summer's perfect floral arrangement is here with this vase of Gladiolas and Asian Lilies accented with a few slices of lime surrounding the leaf-lined chop vase! A refreshing way to cool down and enjoy the beauty of summer! Celebrate a special occasion or simply dress up your home with this warm mix of yellows, creams and greens!